Selected colors 8 Oz (227 gms) / 1 lb. 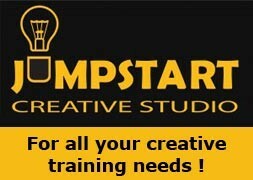 (454 gms) pack for power and regular users offering saving over 2 oz packs. 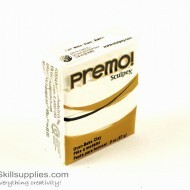 Premo Sculpey is an artist’s dream come true! After conditioning this clay is soft enough to blend easily but ﬁrm enough to hold ﬁne detail and for specialized techniques. It’s perfect for caning, mokume gane and mica shift. 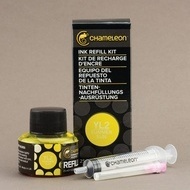 Because Premo retains ﬂexibility, the ﬁnished product remains very strong and durable. This unique characteristic makes it our most durable clay, ideal for jewelry, home décor and functional items we use every day. This combination of strength and beauty is easily transferred to any project you have in mind. 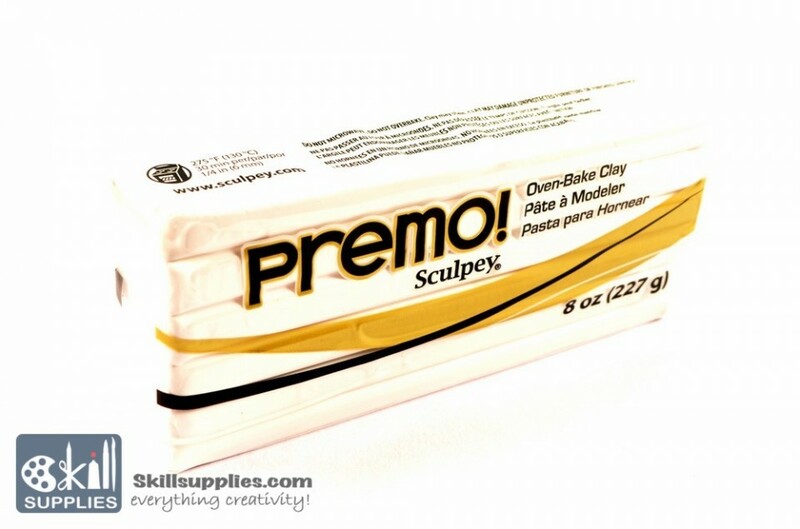 Whether creating milleﬁore beads and canes, delicate scrapbook pages, faux semi-precious stones or glass adornments, Premo Sculpey is the clay to use. 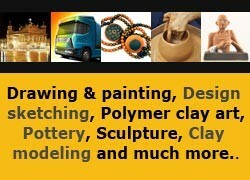 The same great polymer clay as Premo! 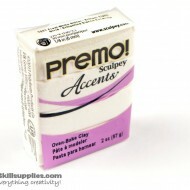 Sculpey® but the enhanced clays in the Premo! Accents line allows for making exciting and unique projects using an artist’s palette. The complete line of Premo! Accents has 24 rich colors: 5 pearlized colors that are great for creating faux semi-precious stones, 6 metallics containing tiny mica particles to create a reflective effect, 6 translucents to lighten clays and provide a transparent effect, 2 granites containing elements that give the appearance of natural stones and 5 glitters for creating projects with a glittery, sparkly finish. 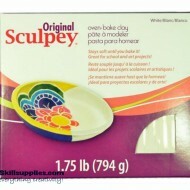 Category: Polymer Clay & Supplies, Sculpey Premo 8 Oz.& 1 lb. 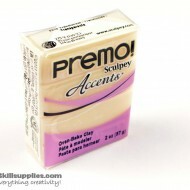 Sculpey Premo Accents 2 Oz. 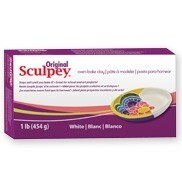 Sculpey Premo 8 Oz.& 1 lb.